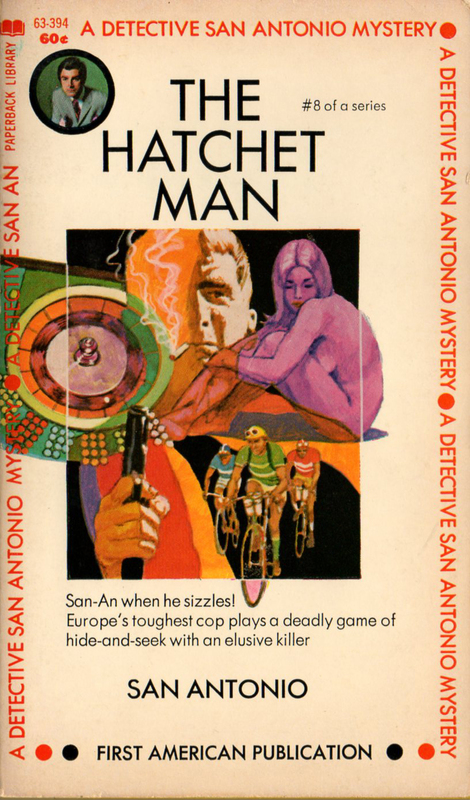 The American publication of San-Antonio novels in the early 1970’s consists in mere reprints, with different covers (but the same illustration) of the translations published in England in the late 1960’s. Most of the translations are from Cyril Buhler. What is original on these “First American Publications” is the blurb, printed on the cover. Here, this most hyperbolic of commercial communications takes place, not only on the back page as is traditional, but on the front page already, for maximum attention.